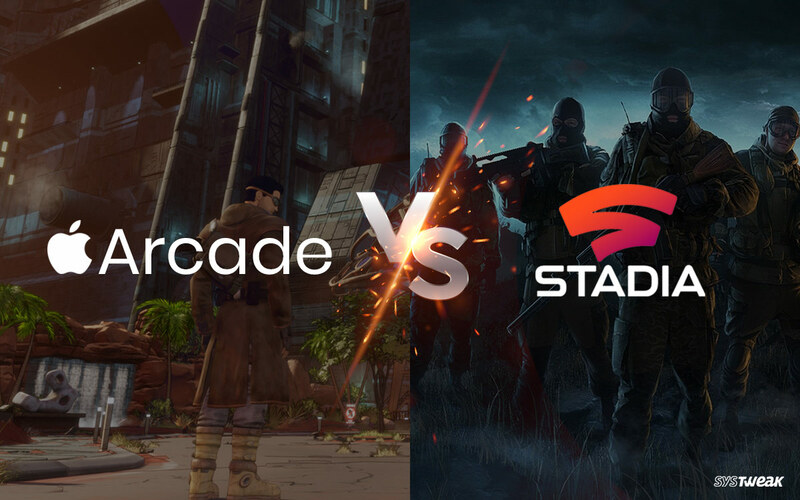 Arcade vs Stadia: Which One Have Better Stakes at Winning? In last one week, both Google and Apple have announced that 2019 is gonna be the year of a head-to-head war between them. In the keynote events organized by both corporations at their separate venues, they revealed multiple plans of innovation going next level in the entire technological market. Many of the services announced were the ones that haven’t been heard off until now, and they are going to become reality. While most of the services or upcoming products unveiled at the events were far different from one another, two of them had similarities no one could miss, and both of them are set to have a huge rivalry in the market. Both Google and Apple, have decided to enter the gaming industry with their individual gaming services and conquer another segment of technological business. 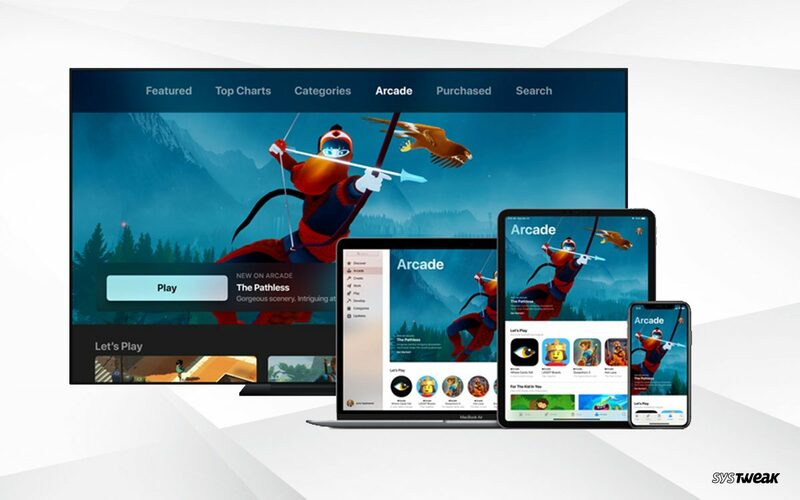 While Google unveiled plans for its gaming stream platform Stadia, Apple said that it would launch its own gaming subscription service called Arcade. Since both are slated to hit the market for purchase by this fall, it’s gonna be a mega-battle right from the beginning. Let’s find about how Arcade vs Stadia might shape out and who has better chances at taking home the trophy, with their pockets filled, of course. For the beginners, Arcade is a subscription-based gaming platform developed by Apple Inc. here you’d be able to play your favorite games, by paying a monthly or annual subscription fee on your Apple devices. On the other hand, Stadia is a cloud-based game streaming service proposed by Google. Here, all your favorite games would be available on a single cloud space, accessible from anywhere in the world. Both the platforms have major differences, which is definitely going to affect their following and their position once they get in game. Let’s see what these have to offer, and who’d have the starting lead in this Stadia vs Arcade battle. Apple Arcade is going to be a subscription-based service, which would be available to the people on a monthly fee or annually billed fee. Just like Amazon Prime Video or Netflix, you’ll be buying of your way to play your favorite games on Apple Arcade. Apple Arcade would be only available on Apple devices, which is the devices running on iOS and MacOS. So, in case you wish to play the games available on Arcade, you gotta have an iPhone or Mac. On the other hand, Google Stadia is a cloud-based service, which can run on any device that supports Chrome installation. And that includes Mac as well. So, you can access Stadia from anywhere, on Chrome browser, in a hassle-free manner. Since Stadia offers you flexibility over the change of devices, it has a better chance of winning consumers here. Apple devices come with a premium price tag and Arcade would be charged over and above that. Therefore, non-Apple users would definitely want to refrain from this. Apple plans to launch it in 150+ nations, and not everyone in the international market can afford an iPhone/Pad, so Apple has a risk of losing consumers here. Both Arcade and Stadia have promised high-quality visuals for high-end and realistic gaming experiences. Ranging from HDR to 4K visual ranges, gaming on any of these platforms is going to change the way we looked at video games earlier, and therefore, both of them seems to attract users based on the experience quality. However, one thing Google has to worry about is its completely online availability. To stream games online, which needless to say, have insane graphics, aiming at offering you a realistic experience, you’d need a very neat and distortion-free internet connections. Now, initial users of Stadia would be from the US, UK, and other European nations, once it enters tier-two markets, it would definitely plunge due to unavailability of good internet connection. If Google does not change its strategy here, it should expect losses, when it launches its services in international markets. Thus, in this round of Arcade vs Stadia, Stadia is being pinned down. Gamers, if you choose a game over content and storyline, and love to experience games from the character’s perspective, Stadia has a huge treat ready for you. Stadia started its testing with Assassin’s Creed: Odyssey, so Ubisoft is at Google’s, which brings you games like Warcraft as well. Then there are other blockbuster games, which are most likely to join Stadia, including games from Rockstar and EA. On the other hand, Apple has not unveiled any big name for Arcade and has claimed to support independent or as we say “indie” developers to bring on exclusive content for the platform. This seems a tough fight for Stadia versus Arcade, as Apple promises exclusive content, that it would develop along with studios like Annapurna Interactive, Cartoon Network, Konami, and LEGO. Stadia have also promised originals under its banner Stadia Games & Entertainment; however, Apple’s earlier announcements put it on lead ahead in this Google Stadia vs Apple Arcade battle. Apple Arcade is exclusively for Apple devices, therefore, you’d get a collection of games based on iOS and MacOS, which you can only play on Macs, iPhones, and iPads. This won’t require you to get a separate controller or console, unless if you wish to buy a joystick for yourself. However, Google Stadia won’t allow you to do that. Stadia has its own controller, designed specifically for streaming games. The controller would allow you to save your game instantly and then resume it on any other device. That’s how you get device flexibility using Stadia and play saved games on more than one computer. However, you would only require this console if you wish to play that on TV, which everyone wants. On your desktop, you could enjoy gaming the old-fashioned way. So, Stadia’s new console is like really awesome, and it may offer a new control experience; however, it comes at a separate price above the streaming service subscription, the cost of which has not been released yet. But again, it won’t be required on a personal desktop. 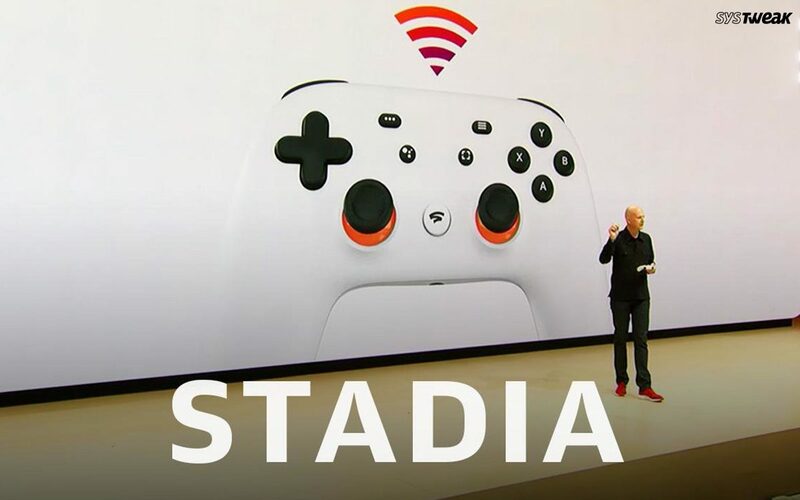 Plus, Stadia has WiFi connectivity, which actually eases your device change and allows you to capture and share your gaming moments on YouTube. So yes, gamers should be looking forward to this as it is a lot different from your regular USB controllers. This is definitely going to be the fate-deciding aspect of the Arcade vs Stadia battle. Both the services are set to be released around the same time during fall 2019, and none of them has revealed what they are gonna take from your pockets. So, suggestion, don’t get your hopes high, as they both might shock you up. Google is offering a streaming platform via Stadia, requiring a number of data centers to help you play it anywhere. This would require a considerable investment and you’re the one who’d be covering that for Google. On the other hand, Arcade requires Apple devices. US population would have a good time here, but not everyone internationally owns an Apple device, and therefore, in case you’re one of those people, you already have to alter your budget and purchase a Mac or an iPad long before Arcade ever drops at your doorstep. So, coming to the final point, who wins Arcade vs Stadia and who takes the market home? This might be the toughest market competition the tech rivals have ever faced. 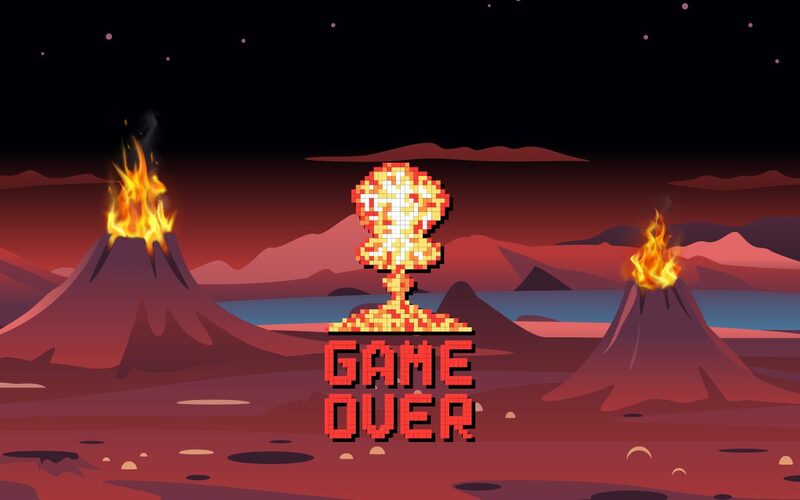 Stadia vs Arcade is a game of targeting the global youth and professional gamers, and these guys are literally critical, as well as concerned of their gaming experience. To keep this crowd happy, both Stadia and Arcade need to keep up with updates and regularly work on glitches, which, overall, is not going to be easy. Price is a major factor here, and both Google and Apple have refrained from making the details in this regard public as of yet. So, based on what we know, Arcade has a better edge against Stadia, which majorly is due to its availability offline. Despite premium prices, you can find people using some variant of Apple devices in all parts of the world, but internet connectivity capable enough to live stream a game in H DR, well, it’s still a dream in many nations. Moreover, Apple is striking the market hard with launching Arcade in 150+ countries, while Google is planning for a slow start. It’s too hard to pass final judgment as we don’t know what else Apple and Google have in their back pockets, but Google does need to make sure that their services reach a larger consumer base without compromising with visual experience. Which one do you think to have better chances at winning over the gamers to their side? Arcade OR Stadia?